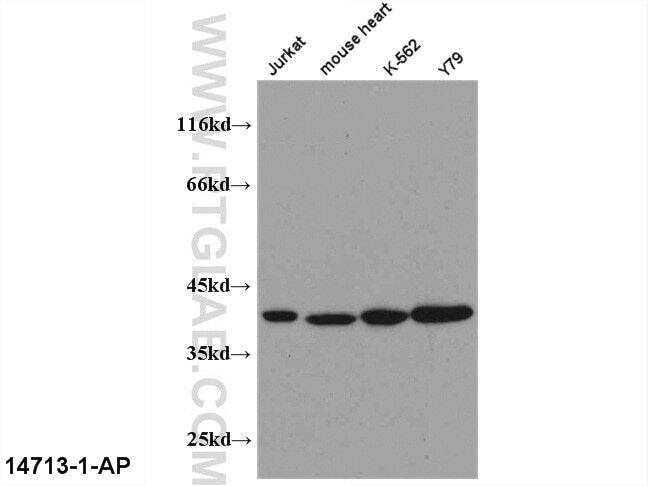 WB result of 14713-1-AP (PEX19 antibody) with several lysates. IP Result of anti-PEX19 (IP:14713-1-AP, 3ug; Detection:14713-1-AP 1:300) with K-562 cells lysate 2400ug. 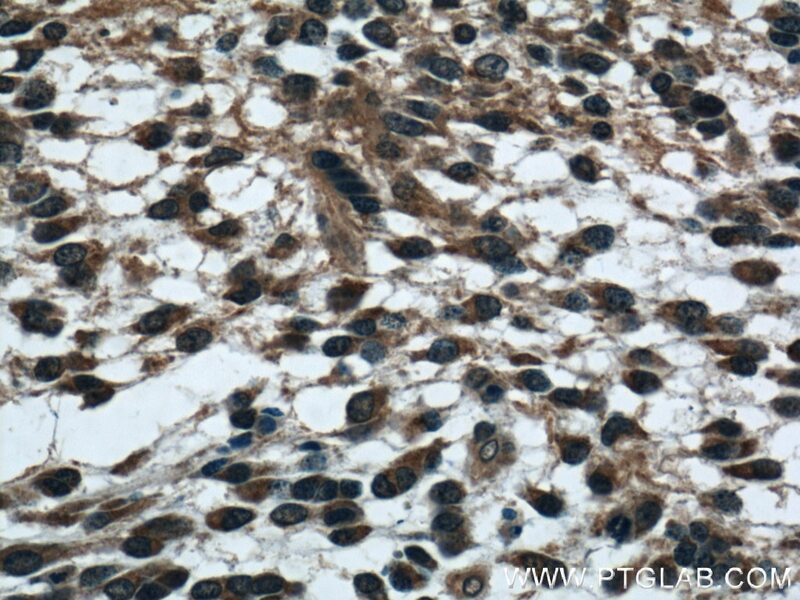 Immunohistochemical analysis of paraffin-embedded human gliomas tissue slide using 14713-1-AP( PEX19 Antibody) at dilution of 1:200 (under 10x lens). 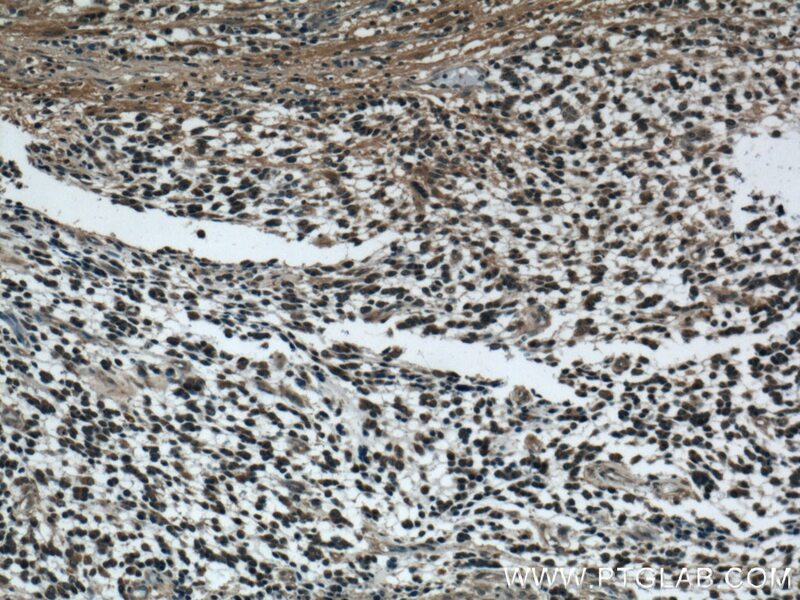 Immunohistochemical analysis of paraffin-embedded human gliomas tissue slide using 14713-1-AP( PEX19 Antibody) at dilution of 1:200 (under 40x lens). Peroxins (PEXs) are proteins that are essential for the assembly of functional peroxisomes. 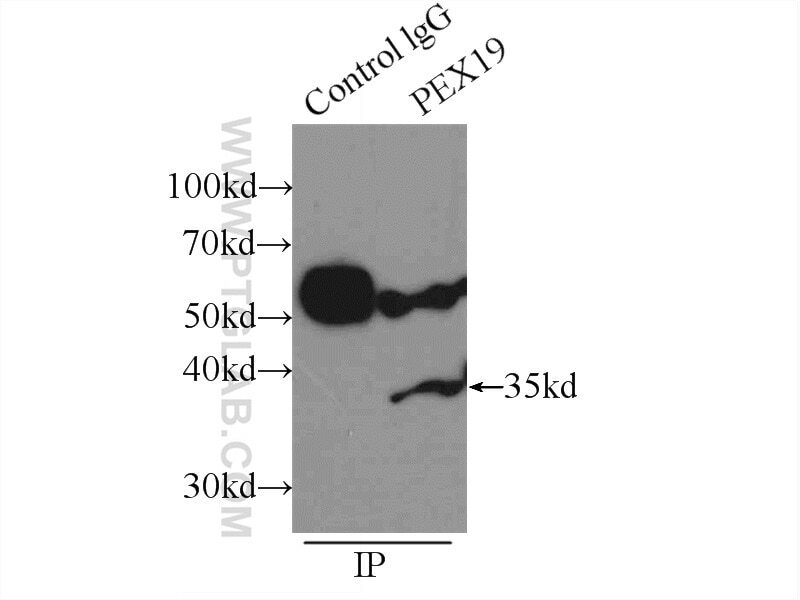 PEX19 gene is necessary for early peroxisomal biogenesis. It acts both as a cytosolic chaperone and as an import receptor for peroxisomal membrane proteins (PMPs) (PMID: 14709540). PEX19 may bind newly synthesized PMPs and facilitate their insertion into the peroxisome membrane (PMID: 107044440. The peroxisome biogenesis disorders (PBDs) are a group of genetically heterogeneous autosomal recessive, lethal diseases characterized by multiple defects in peroxisome function. Defects in this gene are a cause of Zellweger syndrome (ZWS), as well as peroxisome biogenesis disorder complementation group 14 (PBD-CG14) (PMID:20683989) (PMID:10051604). The Early-Acting Peroxin PEX19 Is Redundantly Encoded, Farnesylated, and Essential for Viability in Arabidopsis thaliana.